Preservation New Jersey is pleased to welcome Dennis Krasnokutsky, viola and Maja Rajković, piano to the wonderful acoustics of the 1867 Sanctuary in an evening of beautiful classical chamber music. 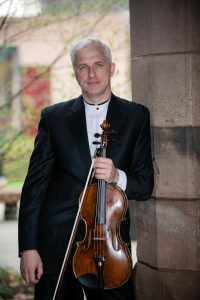 Principal violist of the Philadelphia Virtuosi Chamber Orchestra, Dennis Krasnokutsky is an internationally acclaimed soloist and chamber musician. Lauded for performances as “…building in passion and intensity,’ (The New Times), “…exceptional experience for the audience,” (Srđan Teparić, Radio Belgrade), “…virtuosic performance with nuanced tone and exceptional musicality,” (Mirko Jeremic, Belgrade) he appeared in major concert halls nationally and around the globe including Avery Fischer Hall, Maryisnki Theatre, Kravis Center, Tchaikovsky Concert Hall, Kolarac Hall, Teatro El Círculo, and more. His concerts and interviews were featured on radio and television in the United States, Russia, Brazil, Argentina, Serbia, Hungary and more. Dr. Krasnokutsky has a number of dedications with the most recent being a viola concerto written for him and premiered with the Astana Opera Theatre Orchestra in Kazakhstan. A founding member of the Samuel Barber String Quartet, Krasnokutsky’s list of professional orchestral appearances include Baton Rouge Symphony, Miami Orchestra, Reno Philharmonic, Baton Rouge Symphony, New Jersey Capital Philharmonic, and the Bay-Atlantic Symphony to mention a few. He has collaborated with an array of artists including Hilary Hahn, Bella Hristova, Sara Chang, Jonathan Biss, Frank Sinatra Jr., Bernadette Peters and more. As a member of the award-winning Rowan String Quartet, he has toured the East Coast giving a number of chamber music recitals. Since 2006, he has been a principal violist with the Philadelphia Virtuosi Chamber Orchestra with whom he has toured North and South America and the Europe. His collaborative work on recording projects with PVCO and other ensembles can be found on such renowned labels as Naxos, Connoisseur Society, Arabesque, New World Records, and New Ariel. The 2017-18 season is one of the busiest for Dennis Krasnokutsky with a series of chamber music concerts with pianist Maja Rajkovic and solo recitals in the United States, Asia and Europe, featuring several premieres of newly composed works for the viola. Invited to join the faculty of the Montecito International Music Festival in California, he will be a featured presented and adjudicator at several colleges and universities in Europe and Asia. 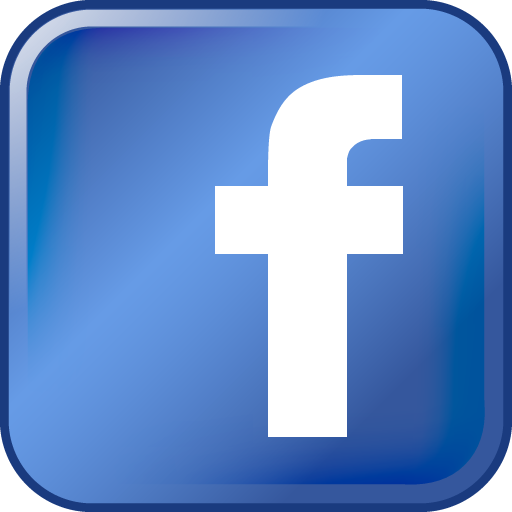 Dr. Krasnokutsky holds a Doctor of Musical Arts degree from Rutgers University where he was a student of Michael Tree (Guarneri String Quartet) and Paul Neubauer (Principal Viola, NYP). Maja Rajković is a Serbian pianist. She graduated from the Academy of Arts in Novi Sad (class of Konstantin Bogino) and received her Master of Arts degree at the Academy of Music in Belgrade (class of Dušan Trbojević). She also attended advanced studies at the “Scuola di Alto Perfezionamento Musicale” in Portogruaro (ltaly). She is a Full Professor, and in 2014, she received her PhD. She became President of Jeunesses Musicales of Belgrade (1998) and Vice President of the Mediterranean Collaboration of New Musicians (2001). She gave her first recital at the age of 14. Maja Rajković is a laureate of national competitions, as well as of the “Carlo Soliva” International Competition (Italy, 1984) and the International Rachmaninoff Competition (1993). She also won Audience first prize and third prize at the 24th Jeunesses Musicales International Competition (1994). In 2013, she was awarded the silver medal of the University of Arts in Belgrade for special achievement on the concert stage. “Musica classica” gave her the “Performer of the Year” prize in 2013. She has recorded and performed with numerous symphony orchestras and ensembles, including The Belgrade Philharmonic Orchestra, Radio and Television Symphonic Orchestra, St. George Strings, Belgrade Strings, and Camerata Serbica. She has performed at numerous festivals, including “Days of Music” in Herceg Novi, the Belgrade Music Festival BEMUS, “Split Summer”, “Podgorica Summer”, “The Power of the Piano”, EPTA-Festival, the Emil Hajek Festival, the Festival Internazionale di Musica da Camera (Portogruaro, Italy) and others. Maja Rajković is a chamber music performer and actively gives concerts.